Thank you for visiting our homepage! 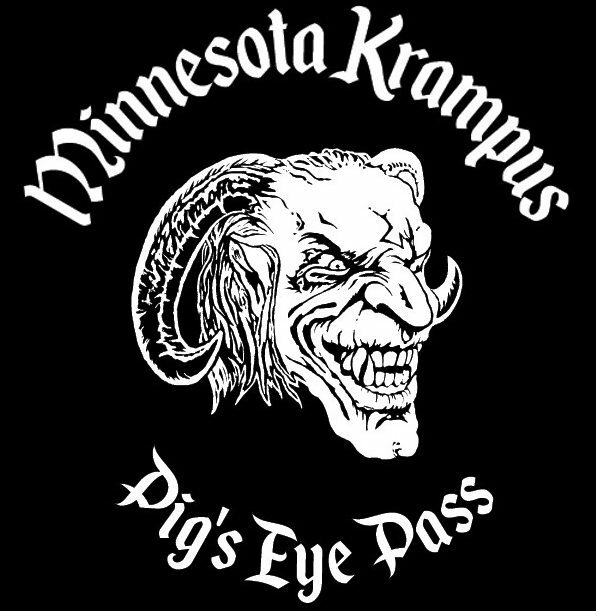 The Minnesota Krampus is a non-political 501c3 non-profit organization founded in 2014. We welcome everyone to explore our site. Connect to us using Facebook, Instagram, and Twitter for posts regarding upcoming events that we will be attending! If you want to contact us or become a member, please check out our Membership tab. 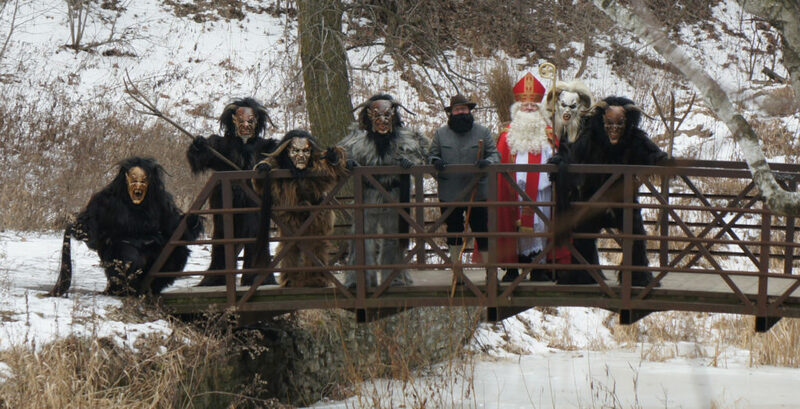 If you’re interested in Krampus wear and Krampus Holiday Cards, check out our Store tab. They say: when in Rome, something something something...but when in New York City, bring out the Krampus! If you're ever in NYC, be sure to visit Cafe Katja (lower eastside) and you won't be disappointed! Here is Erwin, the owner, proudly displaying Minnesota Krampus for all to see! For those interested in watching this Saturday's Vulcan Victory Torchlight parade, in the balmy 36F weather, here is the parade route through downtown St Paul! Wow, 2018 was quite the year! Here are 10 previously unpublished highlights. Big thank you to Renewal Laser Clinic for being our marketing sponsor this year, thanks to all of our festivals (and SantaLawyer! ), and (of course) thank you to all of our fans for amazing support this year! Wir wünschen allen Freunde, Kunden, und Bekannten einen guten Rutsch und ein tolles 2019! Danke!